I am emailing you to tell you why you should not get a single nomination for a Britmums Brilliance in Blogging Awards 2012. Firstly, the name of your blog is annoying. A silly play on words which you admit was inspired by reality television. If you must blog, your mind should be in higher places that the latest Sunday night ITV hit. Bloggers should be intellectual types or not bother. Secondly, you host that Groovy Mums blog hop thing. I hate the word “groovy” which reminds me of the ghastly decade of the Seventies. My dear, we have moved on from those days. Having said that, to encourage mums to devise a life of their own when they have young children to care for is scandalous. Mums should give up their interests when they have children. If you couldn’t do that, you should not have become a mother in the first place. Perhaps the main thing that irritates me about your blog is what you call openess and I call over-sharing. What makes you think we want to know about your thoughts and feelings? How very arrogant of you. We really don’t care. Please keep your emotional struggles and dark days to yourself. We don’t want to hear about them. How many times must we hear that your blog was the idea of your late mother? That woman has a lot to answer for. You are also supposed to develop a niche if you want blogging success and yet you have a confusing content ranging from charity shop finds to recipes. We never know whether you will be posting pictures of your children or ranting about the role of women in society. The constant banging on about charities gets a little wearing too. The sheer audacity that led to you taking off your clothes on your “Who is Kate and Why Is She On Thin Ice?” page leads me to believe you must be the weirdest of exhibitionists and this from a woman purports to lack self-confidence. Reeling from a naked picture of you that I really didn’t need or want to see, I was bombarded with your “What Are My Skills and Experiences?” post. Why would we be interested in those? We all have them you know. You are not all that. I pity those good bloggers whose blog hops you join in with regularly. I imagine they hate seeing that stupid blog name pop up on their linkies and if they look at your posts at all, read with their hands over their eyes as to what nonsense you will be coming out with this time. The same thing will apply to those poor souls whose blogs you read and comment on. Might I suggest that instead of putting the pink badge on your blog sidebar in the vain hope that someone will nominate you for a Britmums Brilliance in Blogging Award, you close the blog down altogether and go and make Victoria Sandwich for those poor children of yours. A Blogger With Boundaries and Brainpower. Seriously? Is this a joke? A sick one? I really hope so. Oh Kate this is disgusting. I want to cry for you. I’m risking getting fired by logging online at work to write this but I just had to. It’s the most horrific personal attack. Please ignore every letter. If someone feels so uncomfortable with your blog and your ethics, why bother to read it? It’s like people complaining about what’s on the TV, you just turn over! I think this is awful and do not find any empathy with it at all. I have found your blog very inspiring, I tend not to read the recipie ones, but thats my choice and dosen’t deter me from reading your blog. This post really made me laugh – very ironic. I am right arent I. The above is an ironic clever post by your good self and not horrid words by another, as suggested by the above comments. Have I lost the plot? Anyway when I get around to it – I will be voting for you!!!! You thoroughly deserve it! Que? I hope this was written by you, but it is still very harsh and uncomfortable to read. I hope you don’t feel these things about your blog. Either that or you are very clever at playing devil’s advocate. Very puzzled. I hope you clarify at some later stage. For the record, I was attracted to your blog in the first place by its name. 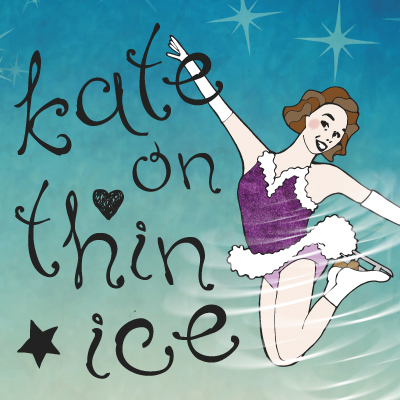 We all skate on thin ice occasionally, don’t we! Hmm like the others – got totally lost with this. Assuming no Sh*t actually sent you this and it is a bit tongue in cheek? Come on, reveal. I do not subscribe to many blogs but the ones I like I check regularly & yours is one of those. I enjoy the variety, the way you try & encourage others, the insights into your life and your openness, hence why I read. When I first read this post, like some other commenters I felt it was very rude. Having read all comments though it has made me view it in a different light. I sincerely hope you didn’t write it – I don’t see it as tongue in cheek, but more if a complete self pity post to try & spark sympathy & get more votes which I would never have thought you would do. It might also be nice to answer comments (not just here but comments in general) & answer people’s queries over the origin of the post. I too am confused about whether this was actually sent to you or if it is all your inner insecurities oozing out on paper(?). If it is your inner voice, then I say it’s brilliant! As bloggers, we all have self-deprecating thoughts about what we write, and our blogs are never good enough. If this was someone’s message to you, then I say you tell them to F-off because wow, but I guess the same could be said about your insecurities because if you can come up with this brilliant bit of writing, then there is no reason for them.